My very first lesson in the martial arts came in the form of summer camp at the age of 10. The camp offered electives everyone could take, and there was a martial arts elective I signed up for which lasted 3 weeks. I have little recollection of how many days a week we met but I do remember being in the main large open field. The camp counselor was a Tae Kwon Do practitioner and purple belt (intermediate level). We had no uniforms and showed up in our regular clothes. He led us through a variety of kicks; even spinning and turning at times. From there the seed of fascination was planted. I would pick up techniques over the next few years from friends I would meet along the way. I now call this “pick up martial arts.” Sometimes I would even find a class or two to take, but it took me several years to find a real teacher in the martial arts. My further desire to train was fueled by the Shaw Brother’s Kung Fu films with The Five Deadly Venoms being the first and most influential I ever saw. Interesting to that part of my story, it turns out that one of Master Zulu’s senior students (Now Soke (Head of Style) Bob Martin) was working at the local station that played the kung fu films. He was the person who got the films on the air. This was my first experience in actually finding my way back to where I began, or in coming Full Circle. By the time I was in high school I was very hungry for marital arts training. This was long before having the internet in your home. Back then all you could do was look through the Yellow Pages—younger folks can Google that term—and browse the ads. Schools that could afford to advertise were very expensive when you had zero income to spend, as I did. I would ask friends who trained about the schools they went to, but sure enough, it was always one of the overpriced schools I found in the yellow pages. One instructor in particular managed to teach half the martial artists in my high school. I lucked upon a junior high school friend named Jamal, who had an instructor that taught at a boys club just off of Chinatown. My brother and I walked down there one night to watch the class. The instructor was an imposing and impressive figure. He was a muscle-bound dark complexioned man in a tight fitting t-shirt who had the cadence and timber of a Marine sergeant. We sat down to watch class only to be told by the instructor that he wasn’t allowing spectators that night. We had no idea why but we were disillusioned. We never went back. In my first year of high school, there was a kid in the school who was obsessed with anything ninja. He would even come to school dressed in ninja tabi shoes. Luck would have it that we would be put in a science class together. I asked him about his teacher and he invited me to a class in the park later that week. Thinking I was going to meet a ninja master, I was surprised to meet a man named Chaka Zulu. He was a man who I thought to be at least 6 feet tall by his presence, but he later turned out to be 5’6”. He was coffee complexioned like my mother and I later found out was just a year older than her. He introduced himself, “Hello, I’m Zulu.” My only word in response was, “Wow.” He invited me to train with them as they were having an informal workout. I was a bit intimidated but I eventually got up and began practicing some roundhouse kicks. Zulu was sparring one of the students and his motion transfixed me. He was a master of what I later learned was “flow”. I have seen many people speak of the concept but he is one of the few who truly embodied it, and to this day none have more so than him. I trained with Zulu and his system of Zujitsu for the next fifteen years of my life, after which we parted ways. Sensei taught me a conceptual framework that I use even now to absorb information and plug it into my personal matrix. 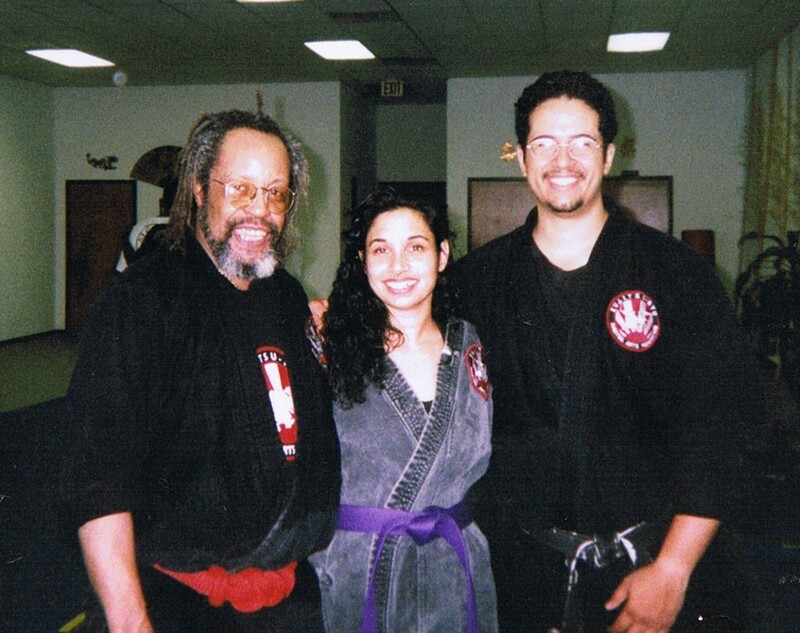 Without him opening my mind to the limitless possibilities of development at such a young age, I never would have been able to be the martial artist I am today. I would simply have scattered knowledge of several systems that never found a place to integrate. He is no longer my master, but he will always be Sensei. Previous PostPrevious Are we True Warriors?